The struggle for geopolitical dominance in Europe and North America through the eighteenth century created the need for new and accurate maps. This demand coincided with a flowering of the printing trades capable of producing maps, charts and battle plans with exquisite detail and beauty. The scope and breadth of the Institute’s map collection reflect the essential role of cartography during this era of war and revolution. The map collection documents a century of nearly continuous conflict in the Western world. British, French, German and Prussian maps trace European battles of the War of Austrian Succession and the Seven Years’ War, which shaped the military experiences of many British and European officers who later served in America. 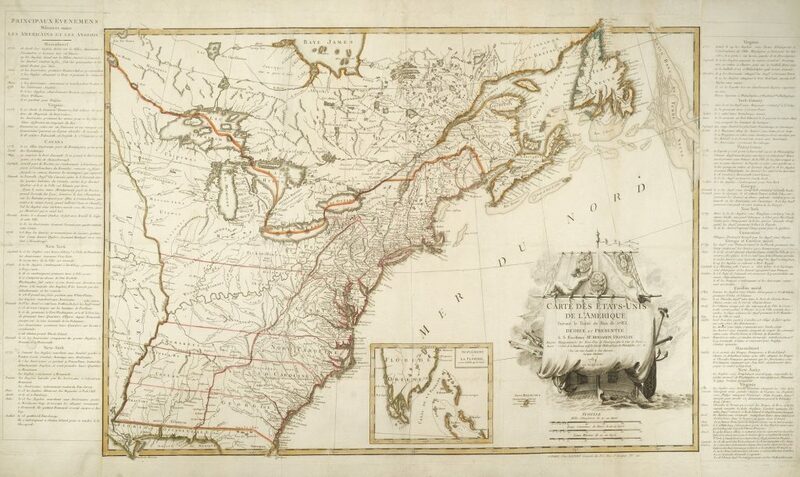 French and British maps of the North American theater from the time of the French and Indian War reflect the international contest for control over vast territories populated by colonists and indigenous peoples. 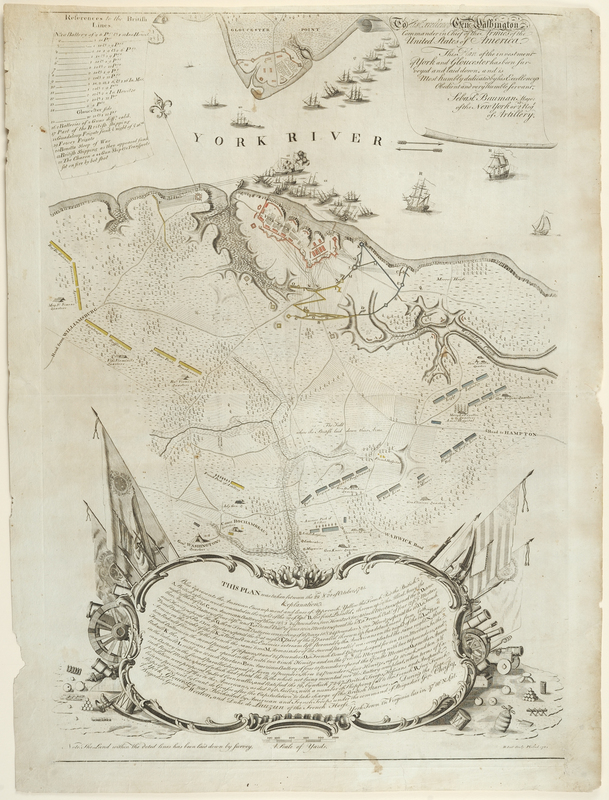 Battle maps of the Revolutionary War depict troop movements and other logistical details outlining the course of particular military campaigns or engagements. The collection also features more general maps of North America, with period maps of each of the original thirteen states and Canada as well as individual cities including New York, Philadelphia and Charleston. 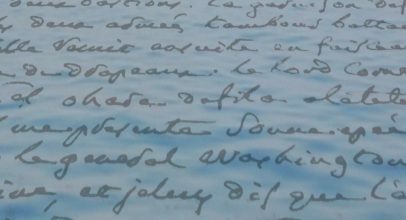 Some of the maps in the collection bear manuscript annotations, correcting or expanding upon the printed geographic information. The collection also includes several original manuscript maps. The town of Halifax, Nova Scotia, was established by the British in 1749 as a strategic counter to the massive French fortress at Louisbourg on Cape Breton. 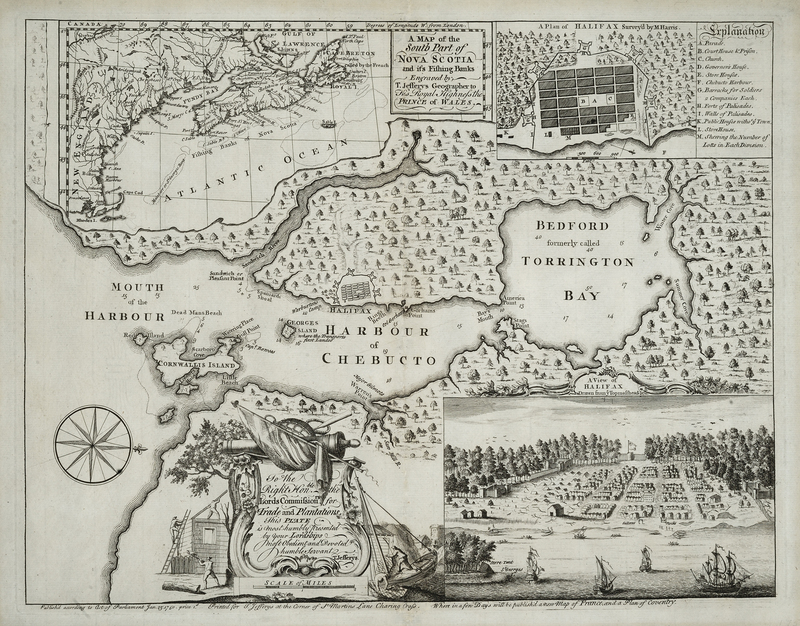 This map features a bird’s eye view of the fortified town and harbor. 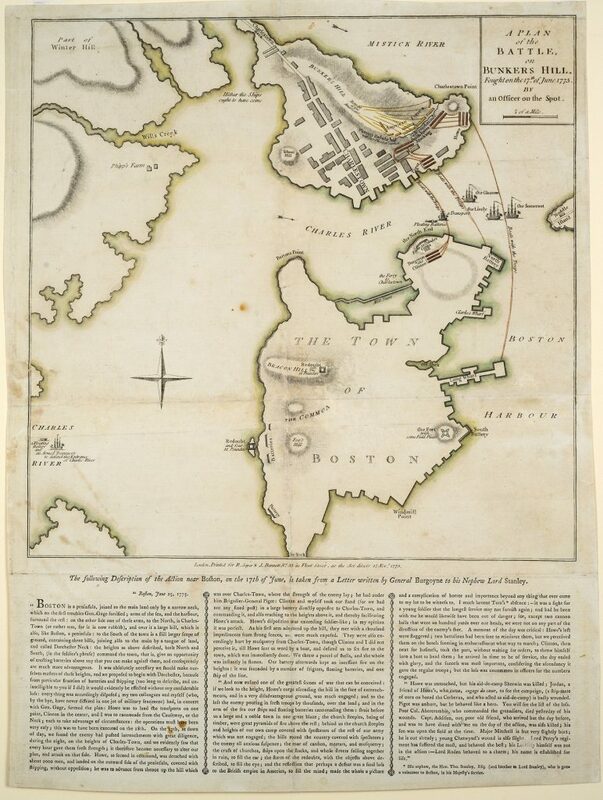 Issued only a few months after the Battle of Bunker Hill, this map depicts the positions and movements of the American and British forces on and around Breed’s Hill. 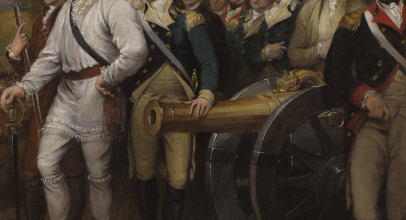 A note in the Charles River just west of Charlestown Neck reads, “hither the Ships ought to have come”—a reflection on General Henry Clinton’s recommendation to trap the Americans on the Charlestown peninsula that was overruled by General William Howe. Published in the October 1775 issue of The Pennsylvania Magazine, this map shows the major forts in northern New York and Canada (Ticonderoga, Crown Point, St. John, Chambly and Montreal) at the beginning of the Revolutionary War. This map of the unsuccessful attempt to capture Charleston in 1776, includes a “List of his Majesty’s Squadron” and an account of the event extracted from letters of the British commanders Sir Peter Parker and Sir Henry Clinton. 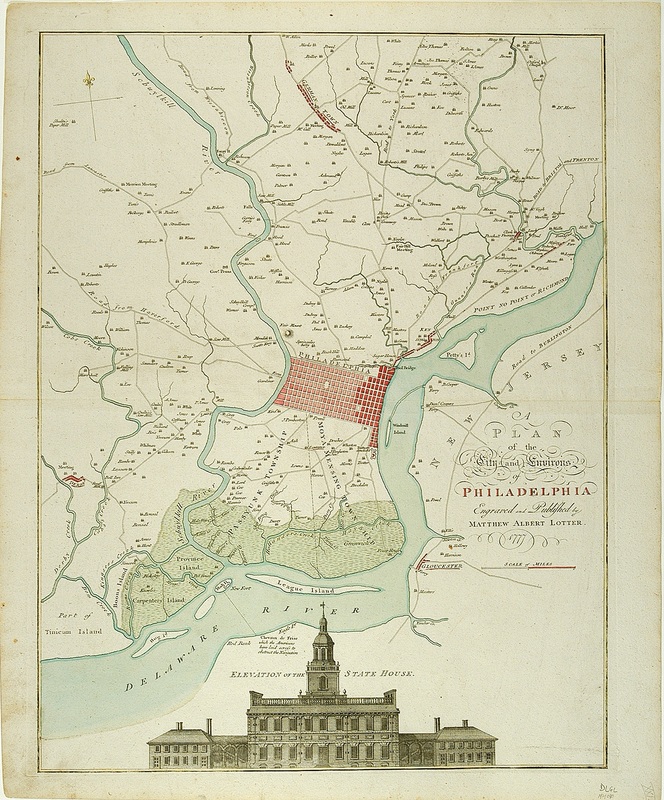 Based on the original surveys of Nicholas Scull, a Pennsylvania native, this maps details the expansion of the city of Philadelphia along its waterfront and shows the location of navigational barriers installed by the Americans in the Delaware River to obstruct the British. It also features a striking elevation of the State House, where the Declaration of Independence was debated and adopted just the year before the plan’s publication. 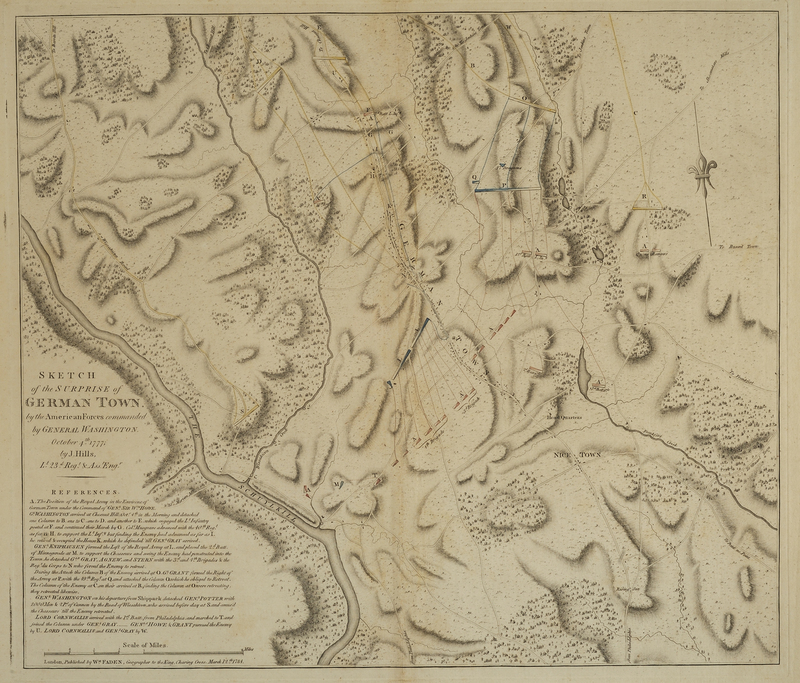 Based on a field sketch by the British engineer John Hills, this is considered the best cartographic record of the Battle of Germantown, an American defeat that nevertheless impressed observers about the abilities of the Continental Army to attack a superior force. This is one of the rarest of William Faden’s series of Revolutionary War battle plans, and it appeared in only some of the editions of his Atlas of the American Revolution. 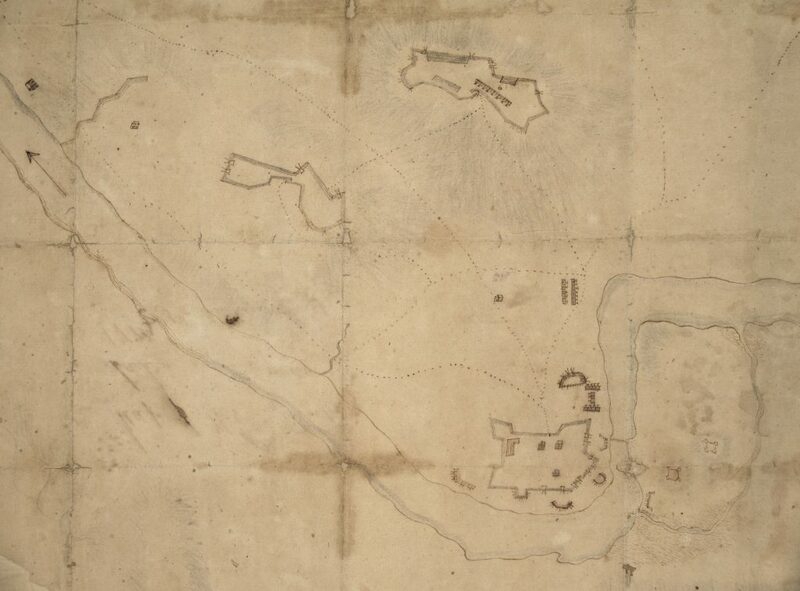 This ink-and-watercolor map depicts the topography and fortifications in and around West Point at the time of the Revolutionary War, including Fort Arnold (later named Fort Clinton) and its outlying redoubts overlooking the turn in the Hudson River, Fort Webb and Fort Putnam downriver, and the fortifications on Constitution Island. The famous chain the Americans stretched across the river to control traffic is also shown. The map descended in the family of Capt. Andrew Engle of the Pennsylvania Continental Line and is believed to be his work. In preparation for his return to France in 1779, General Lafayette asked his aide-de-camp Michel Capitaine du Chesnoy to produce a map summarizing the major events of the American war. Lafayette used this map to bolster his petition to Louis XVI for increased financial support and an expansion of French military aid to the United States. 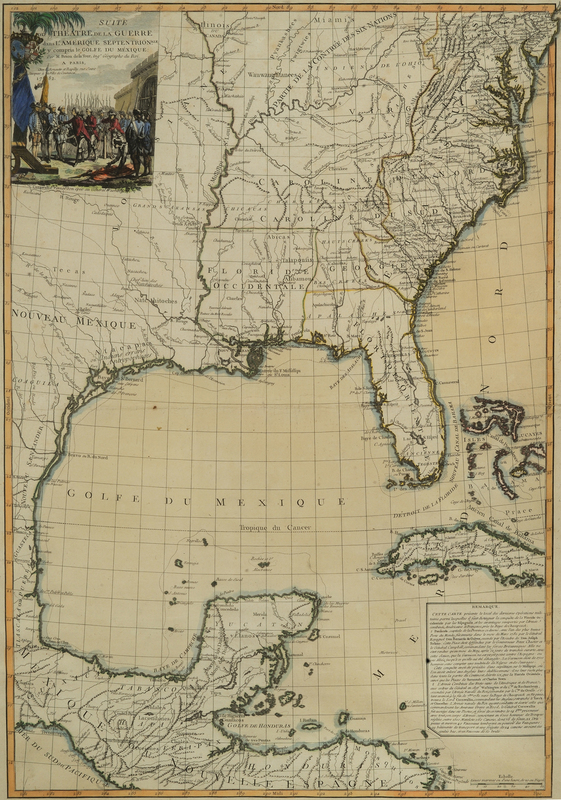 By the summer of 1780, this engraved version of Capitaine’s original map was made available to the public. 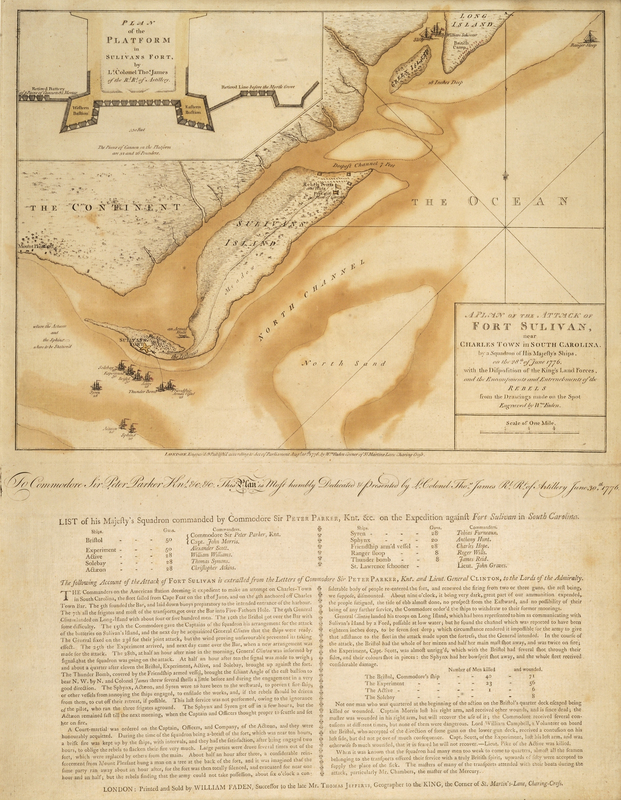 This map of the southern theater of the Revolutionary War celebrates the British surrender at Yorktown in October 1781 (depicted in the map’s cartouche) and the victory of the Spanish forces led by Bernardo de Galvez at the Siege of Pensacola the same year. 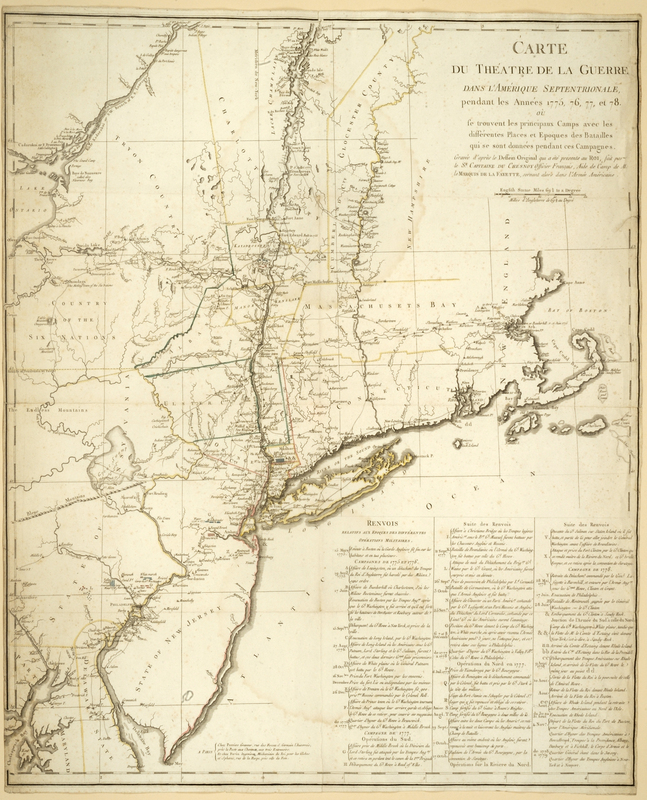 Dedicated to Benjamin Franklin, this is the first map to delineate the full extent of the United States of America after the ratification of the Treaty of Paris. The cartouche features symbols of the new American nation, including the Great Seal of the United States and the Eagle insignia of the Society of the Cincinnati. This rare first state of the first edition of Lattré’s map includes a detailed chronology of the war affixed to the left and right margins.